Not sure if there is a thread for this. I tried searching but couldn't locate so apolojies in advance if there is. 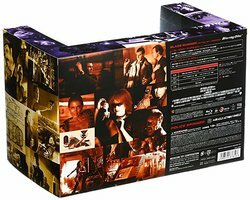 Anyway, I just ordered one of these from ebay although the link is to Amazon Japan Blade Runner Collector's Box so you can see the packaging and the video. 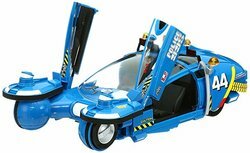 It comes with a huge and very detailed Police Spinner Care. Looks amazing. Check out the small video in the images. Again, sorry if it already has been posted. I'll share some pix when it arrives. I picked it up for £110 brand new. Looks highly collectible. Very cool! First time I've seen it. That does look cool, this seemed to come out in 2010 but I must admit I’ve never heard of it before! I think it's slipped under the radar somewhat. 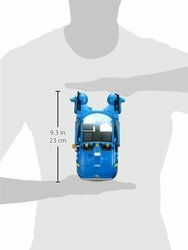 Maybe people think it's just a toy. The outerbox on its own is worth paying the money for. Looks amazing. Hope it arrives intact!! I mentioned I'm sure about this a while back I grabbed one myself about a yr and half ago had never known of such edition and told a few in here. Yep. For some reason not many users responded but I would have thought something like this would have been snapped up and oop by now. I think because it comes across as a large toy with the DVD hidden behind it in the picture. Thanks for sharing @shazman , OP updated. Thanks for posting the pictures Apollon. Much appreciated. My set finally arrived in Feb but didn't get round to posting the pictures. Here are some and you can gauge the size. The Police Spinner is easily the best one in any edition out there. Its big man! Note how the whole six sides and the inside of the box (when you remove Spinner) are covered in images. Very cool! Thanks for taking the time to share.